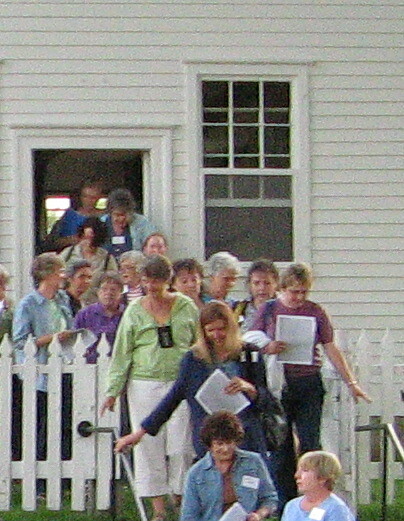 Each August, Friends travel to Maine from all over the world to meet at the Sabbathday Lake Shaker Village for Friends Weekend. 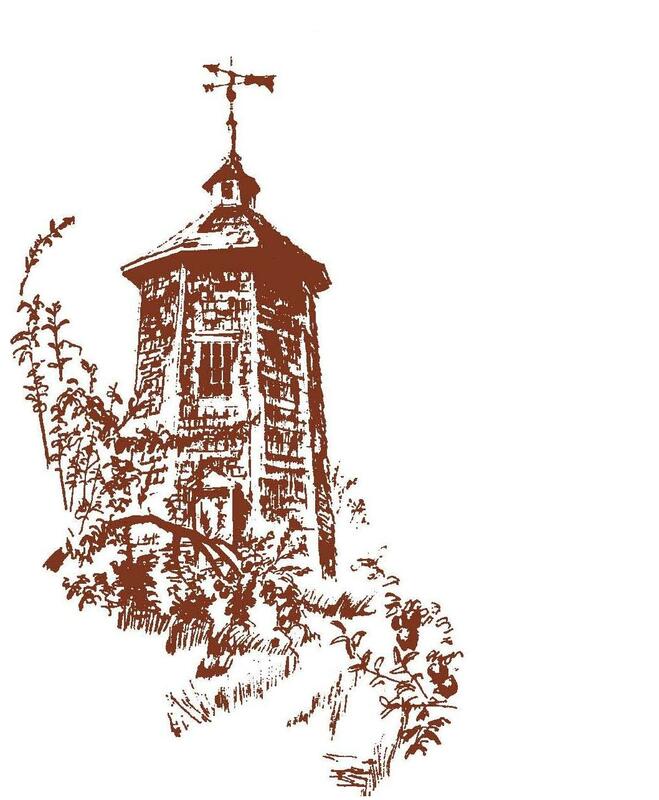 On Saturday, unique workshops on Shaker life, history, music, and crafts are presented, along with special walking tours of the village grounds. Friends from "away" enjoy seeing the newest museum exhibits. Saturday night often ends with a candlelit gathering in the Shaker Meetinghouse to sing traditional Shaker songs. It's an opportunity for people with a shared interest in the Shakers and all aspects of Shakerism to meet and get to know one another, or to renew friendships. For many, Friends Weekend is a time for renewal of the spirit as well as a chance to share in the community's heritage. We hold two work days at the Sabbathday Lake Shaker village, one in October and another in May. Friends gather at the village on a Saturday morning and spend the day working at various assignments suitable for all ages and abilities. Work days bring chores, but fellowship as well. Everyone shares the noon meal, conversation, and laughter. On spring work day volunteers paint fences, mow lawns, weed flower beds, pack herbs, do carpentry work and and spruce up the village for the summer season. 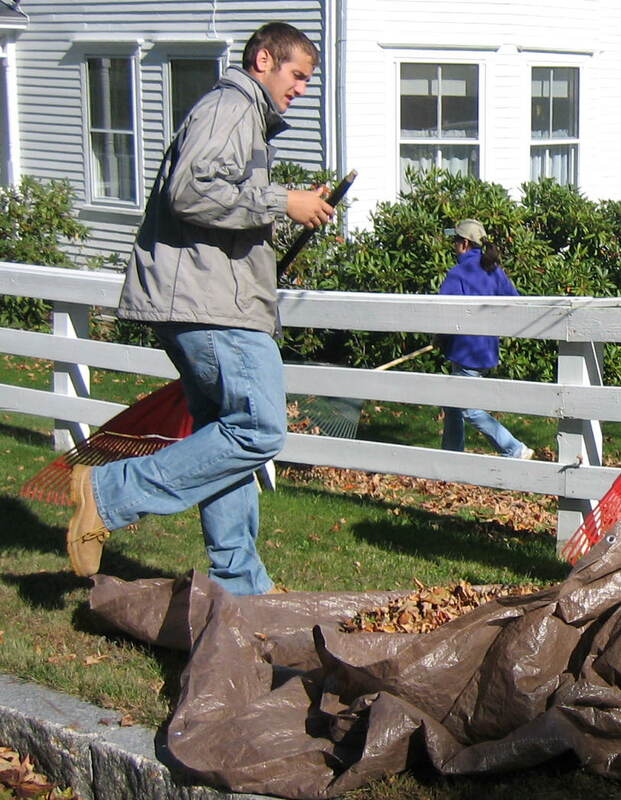 On fall work day, Friends help ready the village for the upcoming winter months. Raking leaves, stacking wood, mowing the grass, and picking apples are some of the things that get done before winter arrives. Recently, the Friends participated in the successful completion of the Sabbathday Lake Shaker Village, Forest and Farm campaign - designed to forever protect the Village's farmland, forest, bog, and historic buildings from development or inappropriate use. Through their generosity and hard work, the Friends raised over $200,000 towards this goal. Earlier, we helped fund renovation of the village's 1880 schoolhouse. 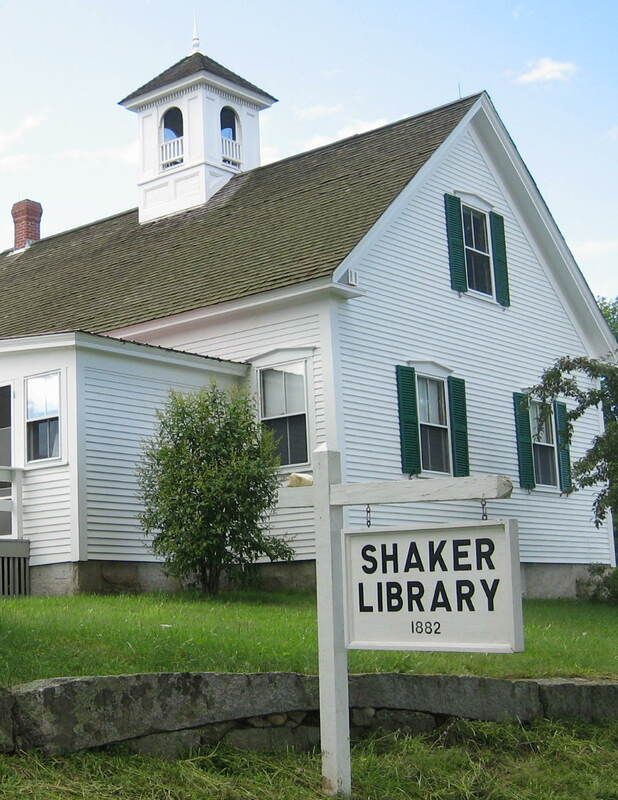 The building is now beautifully restored and houses the Shaker Library, a vast collection of Shaker-related materials open to the public by appointment. The Friends also raised more than $37,000 for major repairs to the community's 1816 Trustee's building, which houses the Shaker store. Our volunteers worked with the Shaker family to plan and coordinate this project.